Do you hit the stores on Black Friday? Log onto your favorite e-commerce portal or mobile app? Statistics say there’s a good chance you do one or both. According to the National Retail Federation, 174 million consumers shopped online or in store over Thanksgiving weekend 2017. The most popular shopping day was Black Friday, when approximately 143 million visited a store or retail website. Why is Black Friday so popular? The short answer: because it’s the traditional kickoff day for the holiday shopping season. Historically, it’s also been the best day to find great deals on the year’s hottest toys, games, and electronics. You don’t have to look any further than our own Black Friday shopping guide to see why. Black Friday is great for budget-conscious shoppers. On the other hand, when you think about it, it’s weird that one day in particular emerged as the paramount American shopping holiday. What gives? I’ve long wondered about the origins and evolution of Black Friday, so I decided to look into it for myself. Here’s what I learned. To understand where Black Friday came from, it helps to place it in the broader context of the modern holiday shopping season. Holiday gift-giving is a centuries-old tradition, but the holiday shopping season is very much a creation of 20th century consumer culture. Surely, you’ve heard of the Macy’s Thanksgiving Day Parade, held every Thanksgiving morning in New York City. That blowout event, watched and attended by millions around the United States, is merely the best known of a gaggle of Thanksgiving weekend parades. In their mid-20th century heyday, these parades drew crowds in most major cities and plenty of smaller towns too. Like the Macy’s parade, many were sponsored by local or national retailers. Back in the day, that meant mostly department stores. The calculus was clear: By attaching their names to the most visible events on the preholiday calendar, department stores reminded their audiences that they were open for business in the coming holiday shopping season. Over time, Thanksgiving parades came to mark the unofficial start of that season. When he issued the proclamation establishing Thanksgiving in 1863, President Abraham Lincoln decreed that the holiday would fall on the last Thursday of November. So it did until 1939, when President Franklin D. Roosevelt signed an executive order to move Thanksgiving to the fourth Thursday of November. Congress passed legislation to make the change official in 1941, per The Center for Legislative Archives. Why did Roosevelt move Thanksgiving one week earlier, and why did Congress acquiesce to the change? Long story short: because a powerful coalition of retailers and other business interests asked them to. By this time, the holiday shopping season was synonymous with the period between Thanksgiving and Christmas. When Thanksgiving fell on November 30, as it did in 1939, that left only 24 holiday shopping days – actually, fewer, as many stores closed on Sundays back then. Naturally, this worried retailers and retail-adjacent businesses, who reasoned that busy holiday shoppers would simply shop less in a shorter season. Whatever the idea’s economic merits, Roosevelt was sold, and the day that would later be known as Black Friday marked the official start of the holiday shopping season. Who Said “Black Friday” First? The term “Black Friday” predates e-commerce, suburban shopping malls, and even city-center department stores. In fact, according to The History Channel, the first recorded use of the term “Black Friday” had nothing to do with holiday shopping. Nearly a century would pass before “Black Friday” earned its present connotation. It’s long been held that retailers took to calling the day after Thanksgiving “Black Friday” because the day’s heavy shopping volumes invariably pushed their financials “into the black” – profitable territory – for the year. This makes a lot of sense, but it’s not supported by the evidence. The likelier story is more provincial. In 1950s Philadelphia, Thanksgiving weekend was a mob scene. The Army and Navy college football teams celebrated their fierce rivalry each year with a neutral-ground clash in Philly on the Saturday after Thanksgiving. The day before, thousands of people from surrounding communities – and Army or Navy devotees from farther afield – would flood into the city in anticipation of the big game. They’d take the opportunity to stock up on clothes, home goods, and other gift-able items at central Philly’s many retail shops and department stores. In other words, Black Friday wasn’t a great day to be a public servant in mid-20th century Philadelphia. By the 1960s, locals had taken to calling the chaotic day after Thanksgiving “Black Friday.” Amid the intense racial and social tensions of the time, this wasn’t the most flattering descriptor. Local politicians and business leaders even sought to rebrand the day “Big Friday,” a happier construction. But it didn’t stick; “Black Friday” did. As retailers grew, merged, and sprouted roots in the suburbs – more on that below – the term spread to other cities and eventually entered the national lexicon. Black Friday isn’t a static holiday. Its evolution reflects decadal socioeconomic shifts that have fundamentally altered the fabric of American society. When Roosevelt and Congress moved Thanksgiving back a week, holiday shopping was a pretty straightforward affair. Brick-and-mortar retailers clustered in city centers, often in compact retail districts or broad commercial avenues. Smaller cities and towns had small, but still vibrant, shopping districts where locals could get most of what they needed for the holidays. To get luxury and specialty items, folks who lived out in the sticks had to travel to the nearest big city or use mail-order shopping catalogs, the precursors of online retail. For a time, you could buy pretty much any nonperishable item you wanted in the Sears & Roebuck catalog – even prefabricated houses. Big-city shopping districts were anchored by department stores – vast, multistory temples to commerce. Department stores sold clothing, cosmetics, jewelry, home goods, appliances, and much more. With a single visit to a department store and a few side trips to specialty retailers, you could take care of your entire holiday shopping list in a single day. The day after Thanksgiving was a natural time for shoppers to head into town and hit the department store. Most families were still together from the prior day’s feast, and few middle-class folks were required to work. The not-at-all-commercial Thanksgiving parade was fresh on shoppers’ minds. During department stores’ heyday in the early 20th century, the industry was highly localized. (At one point, Alabama alone had about a dozen homegrown department store chains, some with multiple locations.) To entice shoppers out of their turkey-induced slumber, every store would run its own post-Thanksgiving promotions. Even before it got its name, Black Friday was a day for deals. In the decades following World War II, millions of Americans fled crowded, unsafe central cities for greener suburban pastures. One of the unintended consequences of this mass migration was the dispersion of brick-and-mortar retail out of downtown shopping districts. The first enclosed, climate-controlled shopping mall opened in 1956, in a Minnesota suburb (per the Minnesota Historical Society). Within a generation, hundreds of imitators – many far larger and more upscale – sprouted up across the United States. In the 1980s and 1990s, large-format “big box” stores like Walmart, Target, and Best Buy proliferated around and between regional and superregional malls, fleshing out the country’s ever more competitive suburban retail landscape. 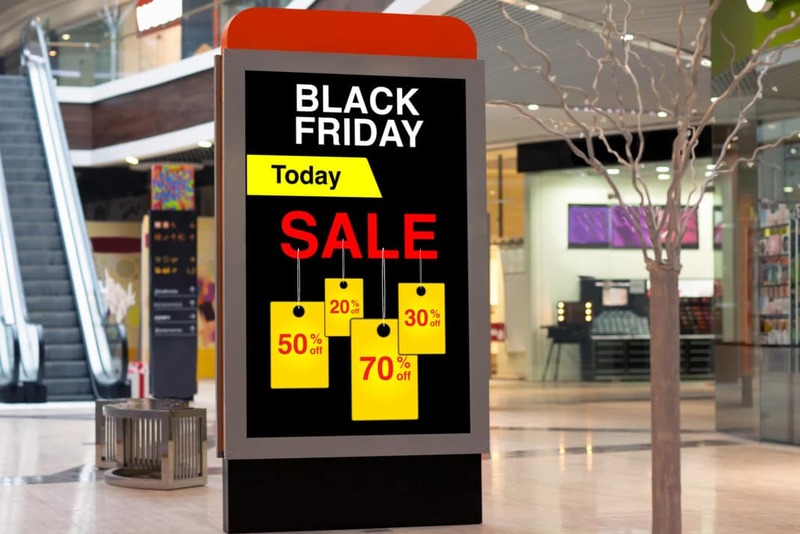 It was during this period that Black Friday came into its own – and when the term “Black Friday” finally settled into its contemporary connotation. Signs advertising blowout Black Friday deals (and insanely early opening hours) proliferated in urban and suburban shopping districts. By the turn of the 21st century, images of devoted deal-hunters camped out in parking lots or waiting in line through the wee hours had become commonplace. For years, every Black Friday was bigger than the last. Black Friday today bears little resemblance to the chaotic city-center pilgrimages of the first two-thirds of the 20th century. As we’ll see in a moment, it’s still plenty chaotic, but the action isn’t concentrated in a handful of commercial cathedrals. Today’s retail environment is omnichannel. Shoppers are just as likely (more so, in some cases) to buy stuff at home on their smartphones or laptops than drive to the nearest mall or big box store to peruse deals in person. Thanks to showrooming, some of that in-store traffic is a mirage: Shoppers visit retailers like Best Buy and Macy’s to check out (and perhaps try) products in person, then head home and search for better deals online. They don’t make major purchases in store, because why would they when they can do so at their convenience later that day or week? The decline of brick-and-mortar retail is devastating the lower and middle echelons of the suburban shopping center market and has perhaps at long last dealt a death blow to the downtown department store model. In 2017, CNBC reported that Macy’s would close century-old flagship department stores in cities like Portland and Minneapolis, punctuating years of long, sad decline. Innovative retailers are fighting the showrooming trend by bulking up their e-commerce capabilities and adopting generous price-matching policies, but the die is clearly cast. Black Friday now happens when, where, and how consumers choose. And that’s great news for deal-seeking holiday shoppers. However, Thanksgiving is an American holiday. No other country holds a celebration of plenty on the fourth Thursday of November. (Canada celebrates its own Thanksgiving on the second Monday of October.) So, in the rest of the world, the day after American Thanksgiving is just another Friday. Romania: Black Friday is surprisingly popular in the Eastern European country of Romania. 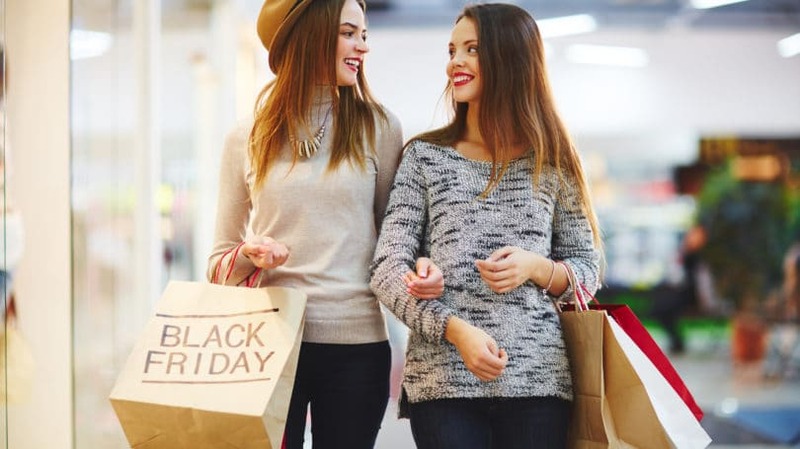 According to Romania Insider, the concept was imported in 2011 by Romanian online retailer eMAG, whose CEO claims that 11 million Romanians (out of 20 million total) have heard of Black Friday and 6.7 million are interested in buying on Black Friday itself. United Kingdom: In the U.K., the term “Black Friday” originally referred to the Friday before Christmas, the traditional start of the Christmas holiday week (and a popular drinking holiday that invariably strains public health and safety resources). In the 2010s, U.S. companies like Amazon, as well as U.K.-based Walmart subsidiary Asda and some other top U.K. retailers, began promoting “American” Black Friday in November. Per The Guardian, the holiday is quite controversial in the U.K., despite producing more than £2 billion in economic activity and officially taking the crown as the country’s busiest shopping day in 2015. 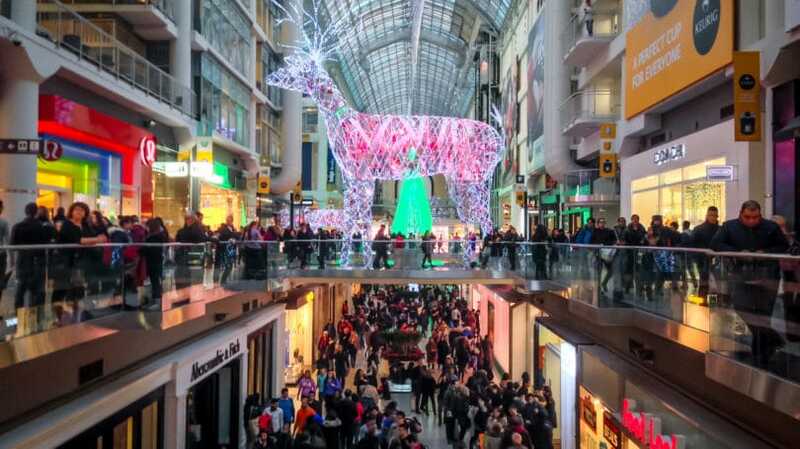 Canada: During a period of unprecedented strength for the Canadian dollar in the 2000s and 2010s, Canadian retailers instituted day-after-American-Thanksgiving Black Friday sales to prevent their customers from snagging currency-aided discounts across the border. (This Financial Post article from 2012 explains retailers’ reasoning in depth.) Though it’s not quite as big a deal as it is in the U.S., Black Friday is now a popular Canadian shopping holiday in its own right. 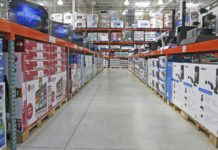 Netherlands: In 2015, several dozen Dutch retailers and international brands banded together to create Black Friday Nederland, a clearinghouse for online sales and deals on the day after American Thanksgiving. Black Friday is by no means a national shopping holiday in the Netherlands, but it’s a great opportunity for Dutch natives (and American expats living or attending a foreign university abroad) to shop for less. Germany, Austria, and Switzerland: Black Friday Sale is a German-language e-commerce portal available in Germany, Austria, and Switzerland. Like Black Friday Nederland, it’s a clearinghouse for domestic and international brands and retailers that offer special deals on the day after American Thanksgiving and beyond. The holiday shopping season’s past, present, and possible future beg a simple question: Is Black Friday still relevant? Black Friday remains a crucial holiday shopping day, but it’s no longer paramount. Nor is it accurate any longer to say that Black Friday is the start of the official holiday shopping season. This is largely down to the retail industry’s increasingly fierce, even desperate, competitive landscape. In an omnichannel world, consumers can shop when and where they please. That gives retailers, already facing increased competition from online-only stores and nontraditional platforms like eBay, less incentive to invest in tentpole “event shopping” days. They’re better off spreading deals out over multiple days. Small Business Saturday, a prime opportunity to shop local and support independent businesses, is rapidly gaining adherents as well. And many retailers now sponsor “Black Friday week” promotions beginning as early as the Sunday before Thanksgiving, with time-limited headline promotions each day (or hour, in many cases). These multiday Black Friday sales appeal to shoppers seeking fantastic in-person deals without the crushing crowds, early opening hours, or stocking issues common to Black Friday itself. 2009: Two assailants shot a man in Queens, New York, ostensibly for the jumbo flat-screen TV he’d just purchased. The TV wouldn’t fit in the shooters’ vehicle, so they fled without it, leaving the victim bleeding on the sidewalk (per New York Daily News). 2010: An opening stampede at a Target store in Buffalo, New York, left one man hospitalized (per Gawker). A mall in Cerritos, California, was placed on lockdown after a shouting match escalated into an exchange of gunfire in the food court. Those responsible escaped before police arrived (per The Los Angeles Times). 2011: A woman pepper-sprayed a crowd vying for the last deeply discounted Xbox in stock at a Walmart in Porter Ranch, California. She fled the scene and was later arrested. About 20 people reported minor injuries (per New York Daily News). 2012: A sleep-deprived man crashed his family’s SUV after an overnight Black Friday shopping trip near San Francisco. His 24-year-old daughter, who was about to be married, died in the accident (per San Jose Mercury News). In case you were wondering: yes, there is a website called Black Friday Death Count. Online shopping offers a safe, secure, convenient alternative to taking one’s life into one’s hands at the store. 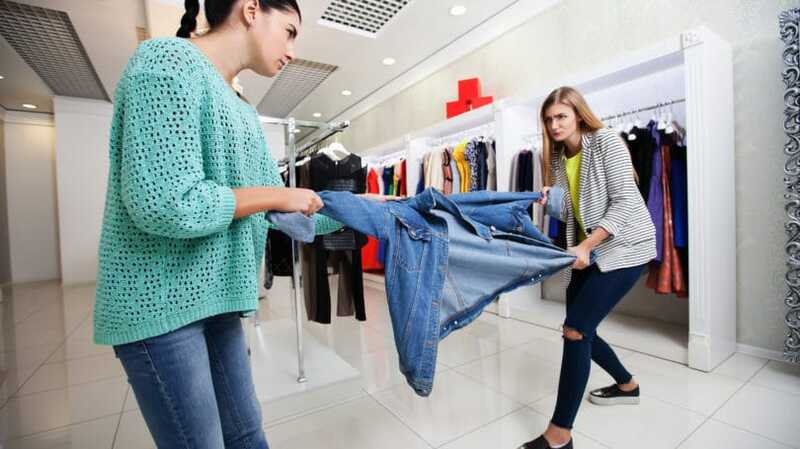 To be sure, the vast majority of Black Friday shoppers don’t encounter any serious issues at the store, and online shopping has its own drawbacks – no fitting rooms, for instance. Then again, is waiting in line for an hour to try something on a good use of your time? As the poster child for American consumerism, Black Friday invites plenty of anti-consumerist backlash. Buy Nothing Day, a transatlantic movement against Black Friday shopping, falls on the day after U.S. Thanksgiving each year. While Buy Nothing Day alone can’t turn back the consumerist tide, it does underscore a very real, very potent backlash against excessive holiday spending and over-the-top commercialism. You don’t have to be an ascetic or minimalist to appreciate the sentiment. For decades, retailers maintained an uneasy gentleman’s agreement: I’ll stay closed on Thanksgiving if you do. Thanksgiving was a day for everyone, even retail employees, to relax and celebrate with family. For most people, Thanksgiving still is a restful family day. Just not for millions of floor salespeople, warehouse staff, cashiers, and store supervisors. Stores first opened on Thanksgiving in 2011, per Fortune. Their success precipitated a wave of openings the following year, with major retailers fearful they’d miss out on a piece of the action. Some stores simply stayed open from late afternoon on Thanksgiving through late evening on Black Friday, reasoning that longer open hours would ease the crush and increase revenue. Unsurprisingly, this new normal prompted a backlash from retail employees, workers’ rights activists, and even consumers themselves. They argued that it wasn’t fair to ask retail employees, many of whom already work long hours, to come in on a national holiday. For this and other reasons, retail executives have lately soured on Thanksgiving openings. According to The New York Times, opening on Thanksgiving is now simply “too much of a headache” for many retailers, who’ve concluded that the promise of an early jump on Black Friday sales isn’t worth the cost – or the hit to employee morale. Business Insider kept a list of all the major retail chains that weren’t open on Thanksgiving in 2016, and the list appears to have grown significantly from the prior year. That said, retail is a notoriously fickle industry, so it’s hard to draw any firm conclusions about whether the practice is in terminal decline. To reiterate: Black Friday isn’t quite what it used to be. Don’t get me wrong – it’s still the poster child for American consumerism, and a legitimately great time to snag limited-time deals that can significantly reduce your holiday shopping budget. But the rise of Cyber Monday, Small Business Saturday, and pre-Black Friday sales have all eroded Black Friday’s dominance. It’s no longer the only game in town. That’s probably a good thing. Like anyone else, I’ll jostle with fellow shoppers to snag the best deals, or spend hours hunched over my laptop (which I do anyway) on a specific day to find the perfect price on every gift list item. But I also like choosing when and where to spend my hard-earned money without compromising too much on price. I suspect you’re on the same page. Do you hit the mall or department store on Black Friday? Or do you sit back at home and wait for the online deals to come to you?